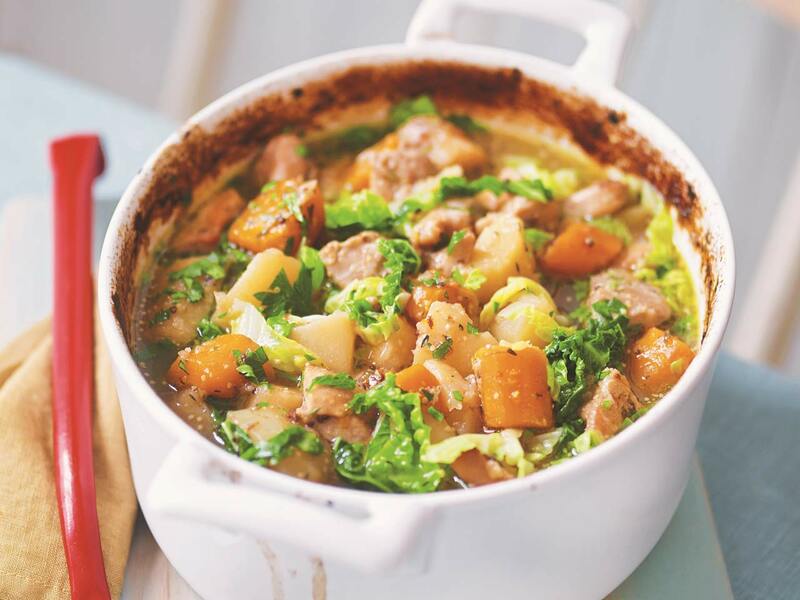 A simple chicken casserole recipe that makes the most of British produce. National Trust properties grow autumnal root vegetables in abundance, and some, like Attingham Park in Shropshire, even have a Harvest Fair. This simple dinner recipe makes the most of this fantastic British produce. Heat the oil in a large frying pan, add the chicken to the pan, a few pieces at a time, until they are all in the pan, then fry, stirring for 5 minutes over a medium to high heat until evenly browned. Scoop out of the pan with a draining spoon and add to a casserole dish. Add the onions to the meat juices in the frying pan and fry gently for 10 minutes until softened and just beginning to turn golden around the edges. Mix the stock with the mustards, honey and a little salt and pepper. Pour into the frying pan and bring to the boil. Add the parsnips, carrot and potatoes to the chicken then sprinkle with the thyme. Pour over the onion and stock mix then cover and cook in the oven for 45 minutes or until the vegetables are tender and the chicken is cooked through. Add the cabbage to a saucepan of boiling water, blanch for 2 minutes then drain well. Stir into the casserole, taste and adjust the seasoning if needed then sprinkle with the chopped parsley. Spoon into bowls and serve with warm crusty bread and butter. Getting plenty of flavour in the onions in the early stages of cooking will add a lovely sweet flavour to the dish. This recipe is from The National Trust Cookbook, published by National Trust Books. Recipe photography by William Shaw. Visit our chicken recipes section for more recipe ideas.